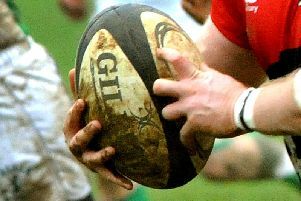 Milton Keynes racked up half a century of points against Slough on Saturday as they continued their march towards the Bucks Berks and Oxon Premier League, winning 51-12. City now have the longest winning streak in their history, winning 18 of their last 19 games, with the only anomaly being a draw. From the start of the first half MK enjoyed a lions share of the possession and it looked like an early score for prop James Pickles, only for the ref to disallow it. After 26 minutes City crossed the line for the first unconverted try, from outside centre Nathan Thomas. Slough responded well and managed to earn themselves a try which was not converted 5-5. From the kick off City pressed the Slough defence and earned a penalty which was taken quickly to see prop Ash Hill go over the line with a spectacular dive for an unconverted try. !0-5 MK. The only other score in the first half came from James Pickles to see MK with a halftime lead of 15-5. The second half saw MK carry on where the first half ended and a score came from scrum half Rob Lasbrey, 20-5. Next points came from Scott Aspinall with a penalty, 23-5. Aspinall scored the next points with a converted try 30-5. Slough fought back with a converted try 30-12, but MK responded quickly with a try from Dan Rolfe and conversion by Aspinall 37-12. Next points from Michael Fitzgerald with conversion from Aspinall, 44-12. The final points came from Rolfe with conversion from Brian Purcell to see the score board at 51-12. This weekend MK travel away to third place Tadley.